Perfect for a Pink Flamingo bedroom or room. Matches popular Fine Decor Pink Flamingo wallpaper. High Quality, Hand crafted in the UK. Also available 40w SES round bulb or 9w SES energy saving CFL bulb. Versatile Lamp Head tilt and swivel Adjustable reach arm In-line on/off Bulb: Max. 40w E27 GLS or Golf ball (not included) Height: 52cm approx. Reach: 35cm approx. 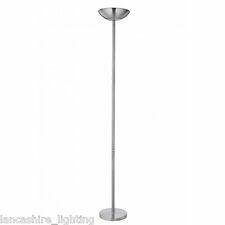 Reading touch Floor Lamp 159cm antique Nickel endon Lighting Hackney 656-FL-AN. bASE W x 159cm H x 25cm D. 2 Energy Efficient: Bulb included: not compatible with an eco halogen dimmable bulb with a G9 cap Base. Matches popular London wallpaper. Height = 30cm x 13cm Wide. On/Off switch on lead. Matching New York ceiling light shade available. High Quality - Hand Crafted in the UK. Matches Popular Arthouse Diamond City Scene Blush Wallpaper. Sculptured glass shade with frosted inner surface. Antique Brass Effect Finish with Glass Shade. MiniSun Light. Bulb Type : G9. We want you to enjoy buying from us so we'll do all we can to make it so. Perfect for a Glitter Brick Wall bedroom or room. Matches popular Glitter Brick Wall Blush wallpaper. High Quality, Hand crafted in the UK. Also available 40w SES round bulb or 9w SES energy saving CFL bulb. Sculptured glass shades with frosted inner surface. Antique Brass Effect Finish with Glass Shades. Not suitable for standard LED or energy saving bulbs. Bulb Type : G9. We want you to enjoy buying from us so we|||ll do all we can to make it so. The Lamp will accommodate a Traditional Halogen Bulb or a Screw-in 5.5WEnergy Saver Bulb, the lamp can be switched on/off by the aid of the switch located on the power cord and is fitted with a B.S. 3 pin plug. 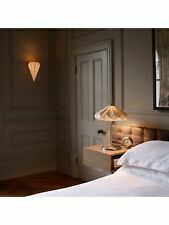 The Hatton 4 Table Lamp has been crafted from fine bone china in Original BTC's factory in Stoke-on-Trent. Light Bulb Fitting :E27. Light Bulb Shape : GLS. Light Bulb Supplied : No. Product is a John Lewis ex display – As new – Not in original box. Paper Lantern Shades. Fabric Shades. Minimum Height: 40 cm. Location of Switch: Base. Picture Lights. Light Bulbs. Product Weight: 0.73kg. Tiffany Wall Lights. Original BTC Hatton 4 Table Lamp Fine Bone China White, Black Braided Cable. RRP £559 ONLY 4 AVAILABLE. Versatile Lamp Head tilt and swivel. Adjustable reach arm. Bulb: Max. 40w E27 GLS or Golf ball (not included). Reach: 35cm approx. Argos will then notify you when your order is ready for collection. No Reserve. Southern Ireland (EIRE). Scottish Highlands, Scottish Isles, Northern Ireland, Isle of Man and Isle of Wright. AB, DD, IV1-63, KW1-14, PA21-41, PH1-50. Wales / Cornwall – SA, TD, TR. Scotland – DG, EH, FK, G, KA, KY, ML, PA. Satin Brass Table Lamp. 12V bulb Supplied with fitting. Adjustable in 2 positions. base dia approx. complete with cable and 13a plug. Works really well. Model 110657. Hackney Touch Floor Lamp. This floor lamp is a clever piece from Endon. Finished in antique brass throughout. It is idea for office spaces, study areas, living rooms and bedrooms. Versatile Lamp Head tilt and swivel. Adjustable reach arm. Bulb: Max. 40w E27 GLS or Golf ball (not included). Reach: 35cm approx. The cylindrical lamp has an angled cutaway top which looks stylish and casts nice light and shadows against the wall. To view the full range just type Uplighter' into the search box. Socket/Bulb: GU10. Type of Crystal : Diyas Select. This suite of products has been carefully designed to ensure the wow factor is not impossible just because of low ceilings. the matt finish of satin nickel or antique brass with the sparkle of the clear crystal is a combination that looks impressive. Product Type: Uplighter. Overall 162cm H x 25cm W x 23cm D. This beautiful floor lamp is from Dar Lighting, whose product line is high end lighting. Very small nick in one of the glass shades which is barely noticeable. Versatile Lamp Head tilt and swivel Adjustable reach arm In-line on/off Bulb: Max. 40w E27 GLS or Golf ball (not included) Height: 52cm approx. Reach: 35cm approx. . Mother & Child halogen floor lamp. Antique brass finish with metal and glass diffuser and double dimmer. Includes In-Line Switch. 'Ice' is a lively Lighting series with anarchic Lines. 'Ice' is a very special avant garde collection. This Modern Single Table Lamp Fitting from the 'Ice' range by Inspired Lighting looks great and is ideal wherever a modern look is desired. This Modern Single LED Floor Lamp from the 'Apothecary' range by Searchlight Lighting looks great and is ideal wherever a modern look is desired. The 4665AB has a Antique Brass / Glass Lens finish. This fitting use 1 x 33W G9 bulb and give 33W (max) of light output. UPLIGHTER - SATIN SILVER HALOGEN POLELIGHT WITH INLINE SLIDING DIMMER SWITCH. BLACK / CHROME MOTHER / CHILD FLOOR STAND. Bulb: Max. 40W E14 GLS or Reflector (Not incl.). Versatile Flexible Neck. Heigh: 34cm approx. 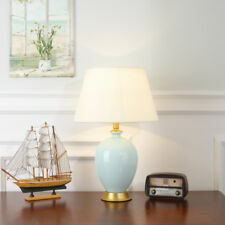 Our Artisan table lamp has a classic look but with a modern touch function. Simply tap it gently to switch it on and off. If you're totally taken with this one, have a look at the matching floor lamp to complete the look. Product Type: Semi flush mount. Shade Included. Shade Material: Glass. This may not be suitable as a gift. Light Direction: Ambient. Number of Lights: 5. Product Details. Southern Ireland (EIRE).